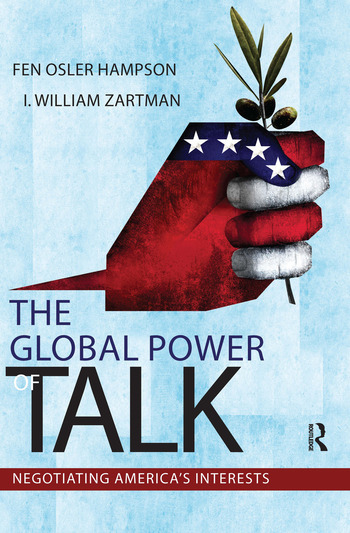 The Global Power of Talk explores the power of negotiation and diplomacy in US foreign policy at a critical juncture in US history. Beginning with the failure of US diplomacy in relation to Saddam Hussein's regime in the 1980s, it shows how a series of diplomatic blunders has laid the foundations for the uninhibited use of 'gun power' over 'talk power' in the last two decades. It critically examines missed opportunities in America's handling of the Israeli-Palestinian conflict in both the Clinton and George W. Bush administrations. In a provocative conclusion, the authors argue that the United States can and should negotiate with the so-called 'unengageables' like Iran, North Korea, and Al-Qaeda, in order to find ways to defuse underlying tensions in the global system.